Beijing, China: October 18, 2012— The recently released esProc, a desktop BI software for data computation and data analysis has many highlights which differentiates it from traditional business intelligence tools. Instant computation and analysis is one of the outstanding highlights of this desktop BI software, enabling analysts’ work to be more convenient and flexible. In the actual business, analysts always have some random thoughts and their demands are changing with the external environment. However, traditional business intelligence tools either complicate simple problems or haven’t the ability to solve temporary problems due to their inherited drawbacks-modeling requirements. In this case, solving the occasional problems or changing the original computational procedure becomes the headaches of analysts. With esProc, the desktop BI software, the above mentioned problems are no longer big issues. In esProc, the computation model is innovative and the analysis procedure is simple and intuitive, which is ideal for solving the temporary problems. Unlike the traditional BI tools, esProc is the new generation desktop BI software without pre-modeling. 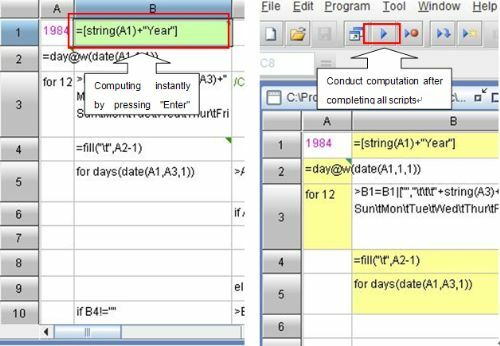 Analysts can conduct computation after completing all scripts. Computing instantly by pressing “Enter” key after inputting commands is also applicable in esProc. Two types of computation can immediately return the result. This brings convenience to analysts’ work and saves time for them. Instant computation and analysis enables esProc to handle data in different situations, which makes work more flexible. Usually, analysts come up with ideas suddenly without very clear demands. It’s hard to meet such kind of demands with traditional business intelligence tools like SQL. But with instant analysis and computation, analysts can make hypothesis based on current data and prove it step by step. In addition, instant analysis shows the isolated data to analysts instantly, which can stimulate the inspiration of analysts through some simple processing, such as sort, aggregate, group, etc. 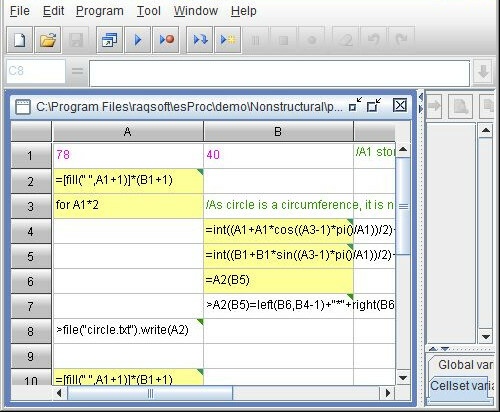 Instant computation and analysis is also good at solving some computations which are hard to express with computer language. What’s more, the immediately returned results allow analysts to get more insight and discover the potential value by taking advantage of existing results.